Whether a pen exploded in your pocket and leaked or your toddler decided to use the sofa as an art easel, ink pen stains on a couch can be a frightening sight. Although ink can often be tricky to remove from upholstery and fabric, using the right products and methods can make the job much less dreadful. No matter how the ink pen stain got on the couch, the bottom line is that you want it gone. 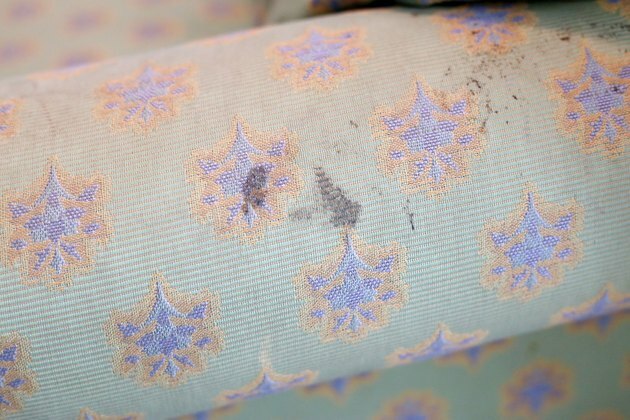 Ink stains can be successfully removed from a couch in no time. Fill a clean medicine dropper with hydrogen peroxide. Drip the peroxide from the dropper around the ink pen stain on the couch. This will create a barrier so that the ink stain does not spread. 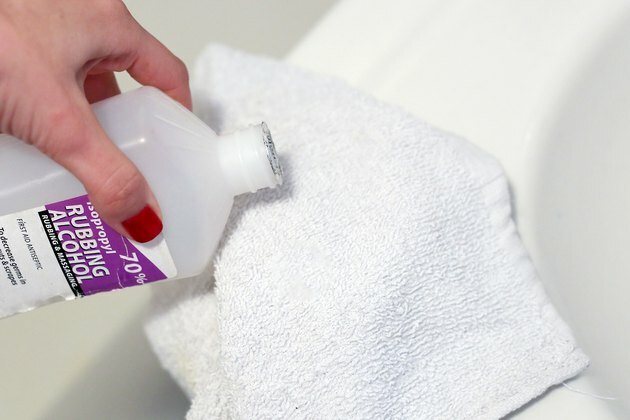 Moisten a white rag with acetone nail polish remover. Rubbing alcohol can also be used if you do not have acetone nail polish remover handy. Blot the ink stain with the white rag. Work from the outside of the ink stain toward the center. Add more acetone or alcohol clean portions of the towel and blot with the clean section as the ink begins to lift onto the rag. Continue blotting until the ink no longer transfers to the rag. 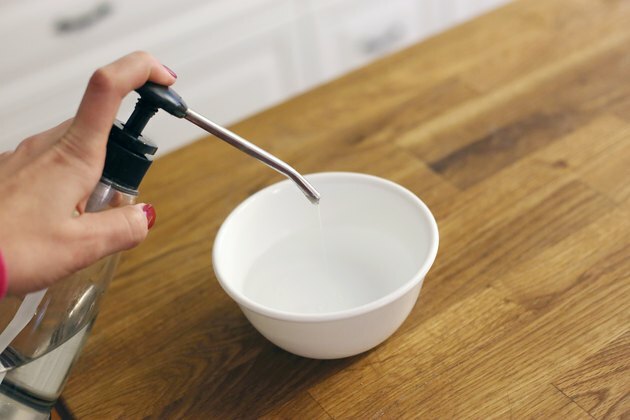 Mix ½ cup of cold water and a few drops of mild dish soap into a bowl. Moisten a rag with the cleaning solution and gently clean the affected area of the couch. Go over the area with a rag and plain water to remove any soap residue. Use hairspray as an alternative method for removing ink pen stains from a couch. 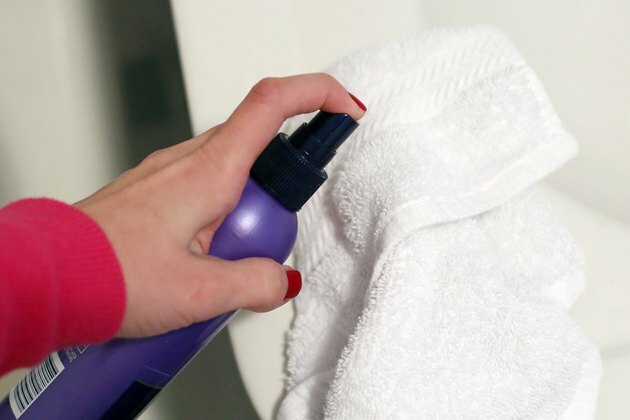 Spray aerosol hairspray onto a white rag and gently blot the stained area. Switch to clean portions of the rag and apply more hairspray as the ink begins to lift from the fabric. Follow up by blotting the area with a clean, dry rag. Spirits of turpentine can also be used in the same fashion if the stain persists.